These 18 buildings look like they are from other worlds built by alien races but no, they are built by humans here on Earth! 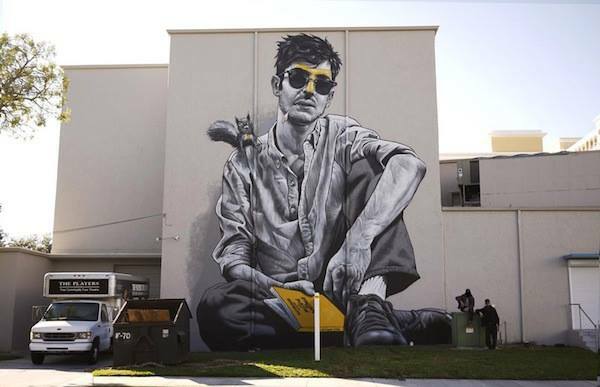 Architects and engineers are not only becoming more bolder with their designs but modern building methods and materials are making it easier for them to create stunning and strange looking buildings. 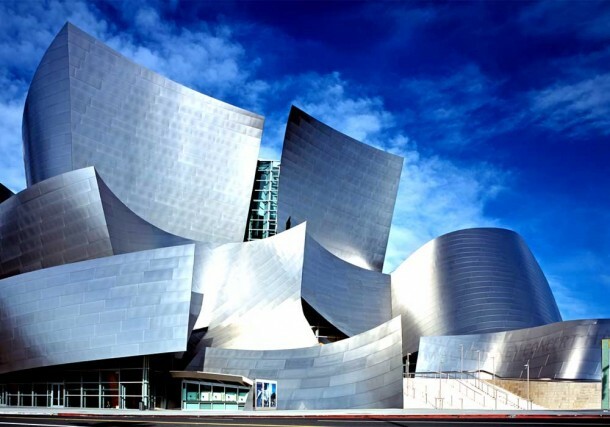 Buildings that do not look out of place on the film sets of popular Sci –Fi shows like Star Trek or Stargate. 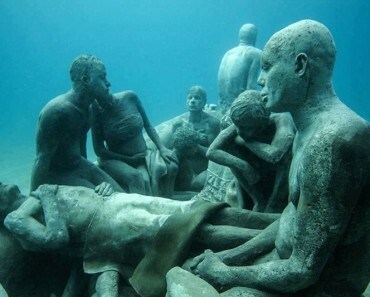 Some look stunning while others look simply strange, some move and some look they are melting. This odd bubble building found in the UK is a visitor attraction and has two enclosures that house plants from all over the world. One dome has a tropical environment and the other has a Mediterranean environment. 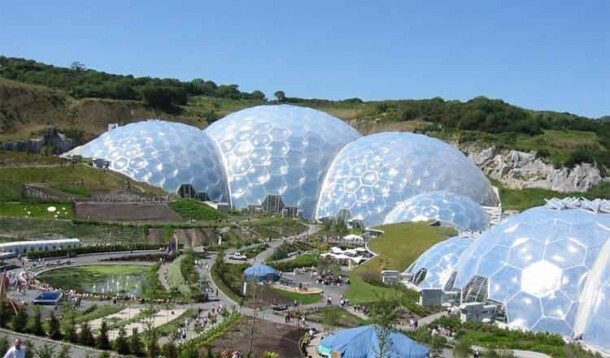 It is made from biomes and the two main domes are made by connecting domes made from hexagonal and pentagonal, inflated plastic cells supported by steel frames. 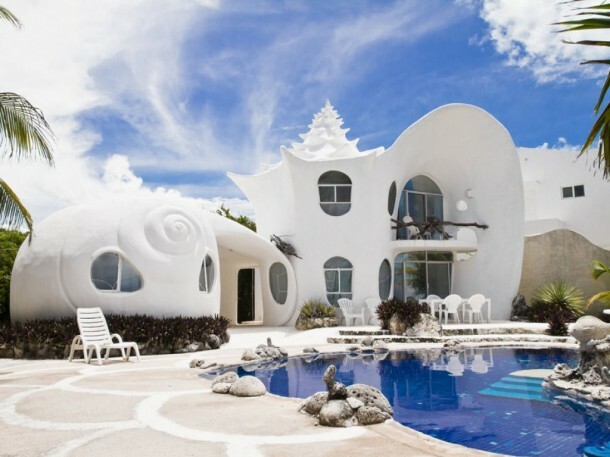 This incredible bubble style house is found on the Isla Mujeres in Mexico and has windows that give a 180 degree view of Caribbean Ocean. 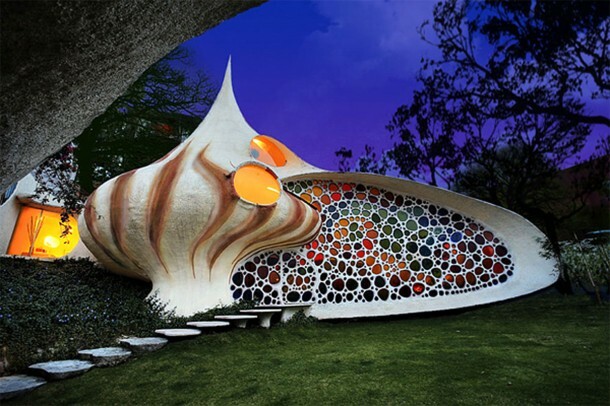 The whole inside of the house has a shell theme with parts of it being made from coral and sea shells. 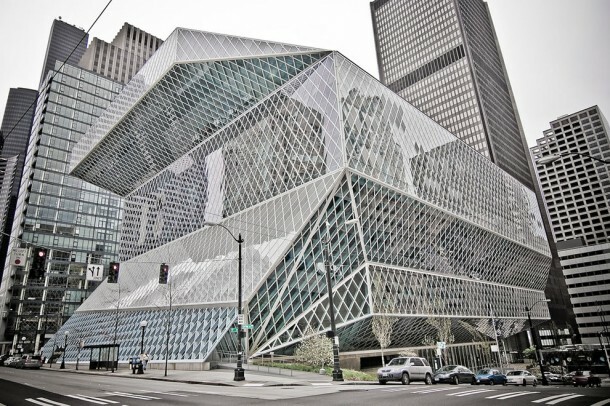 This library was designed on function apparently, to me it looks more form over function and the function followed later! 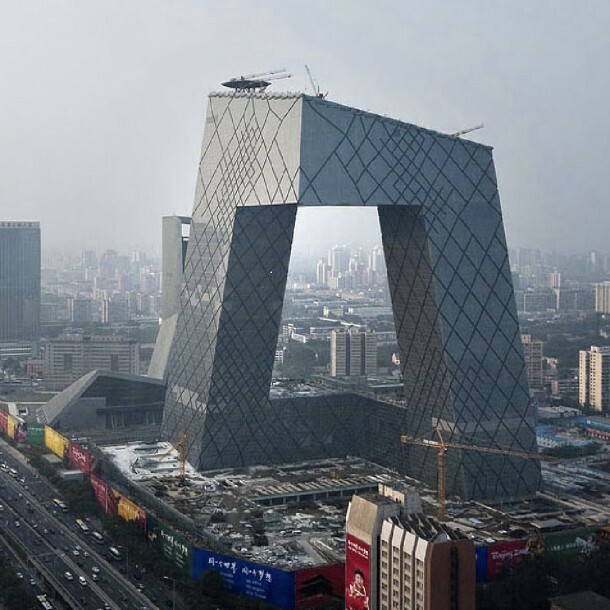 The ‘three-dimensional cranked loop’ is found in Beijing China and consists of two towers which are connected and have been bent at 90 degree angles at the top and bottom to form one continuous structure. 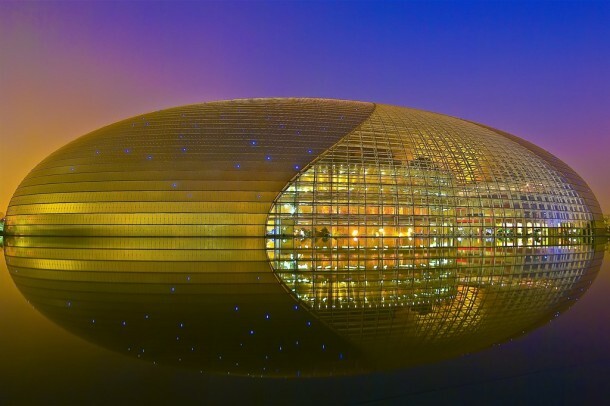 Another incredible alien looking building from Beijing in China, this one is known worldwide as the ‘Bird’s Nest’ and was the venue for the 2008 Olympics. The design was inspired by Chinese ceramics and the steel beams were designed and added to hide the mechanism of the roof that is retractable. Believe it or not but this is a church, well a chapel, not sure if there is much difference but it was built in the early 1960s and has 17 spires that are built in a single row. 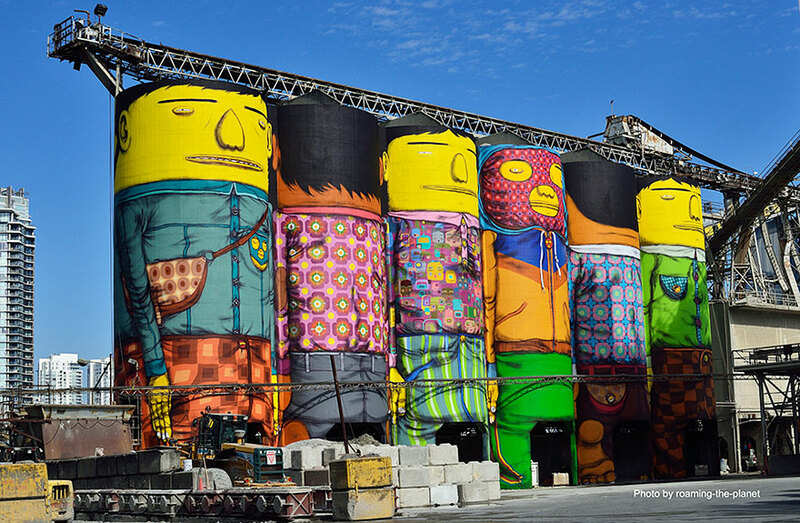 This is a museum dedicated to the environment and is found in Montreal Canada. 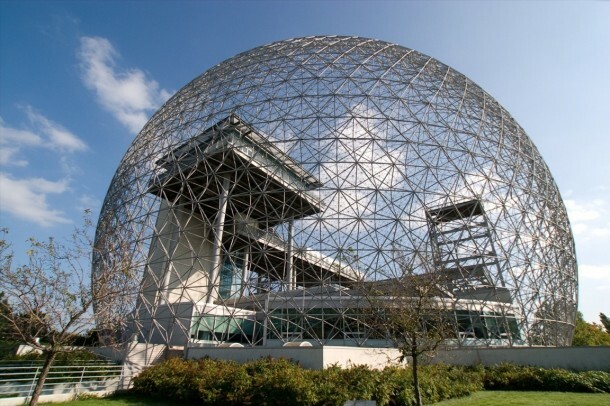 The dome is made from an enclosed steel structure with acrylic cells and is 76 metres in diameter and 62 metres high. 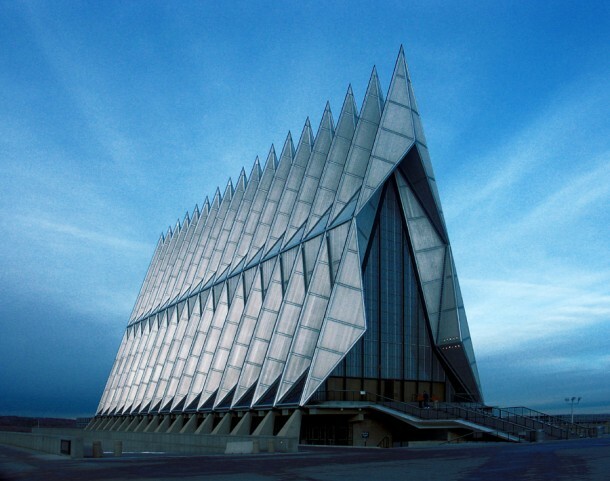 This is one of the most unique buildings on planet Earth and looks totally alien. The sleek curves are clad in stainless steel and looks like no other building around. People travel from all over the world to visit this concert hall. Now if this doesn’t look alien then what does? 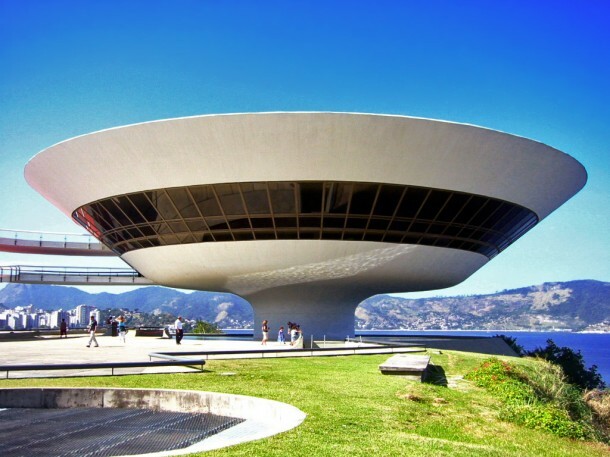 This is a flying saucer shape and was designed by the world famous architect Oscar Niemeyer and was finished in 1996. The building sits on the edge of a cliff side resembling a launch pad overlooking Guanabara Bayin the city of Niteroi. 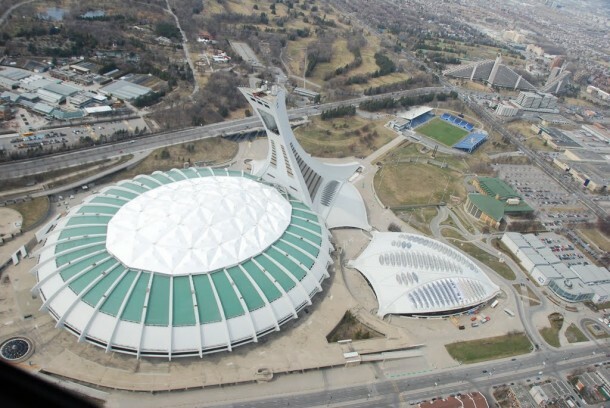 The second alien building from Montreal Canada is the Olympic Park which was built for the 1976 Olympic Games. The building is now the international symbol for the city of Montreal. The building has a tower which is the tallest inclined tower in the world, it is angled at 45 degrees and is 165 metres high. . 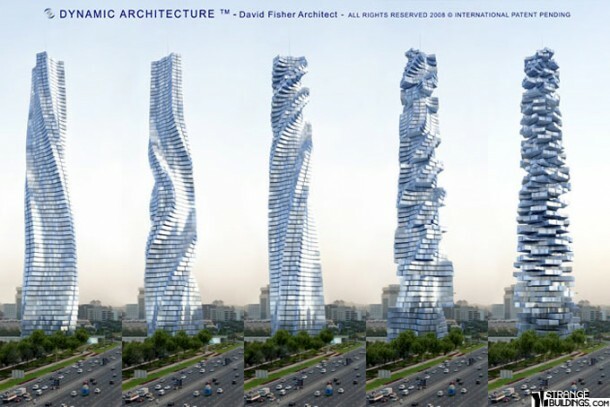 Here we have another building from Beijing China, the Chinese love to build alien looking structures don’t they? The National theatre is a curved building with a surface area of 149,500 square metres . 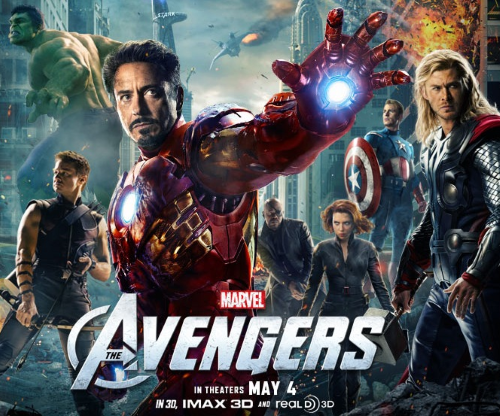 It emerges out of a lake like an island made with a titanium shell in the shape of a super ellipsoid. The structure is split into two parts, one part allows daylight in through a curved glass covering and the other part is made that movement on the inside can be seen at night. 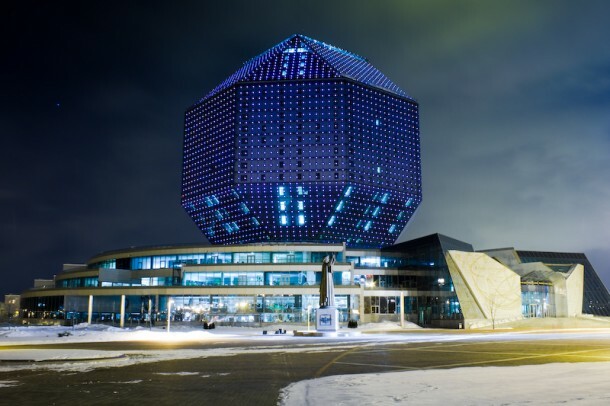 This 23 storey high building is a rhombicuboctahedron which represents the value of knowledge to all mankind. The whole building is covered in glass so that all 24 sides sparkle like a diamond in daylight. 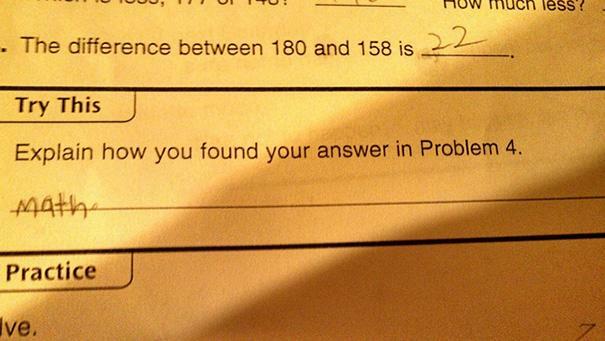 Probably blinding many air plane pilots! These wonderful homes are iconic to Rotterdam. 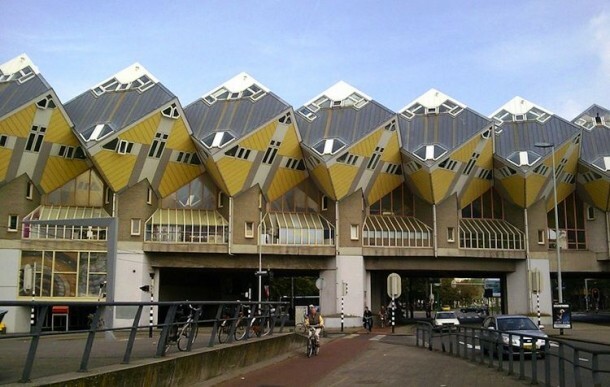 40 houses were tilted at a 45 degree angle and were the first cube shaped homes in Holland. The houses are divided into three levels inside and they are accessed by narrow staircases. Some say Brussels is the capital of Europe. 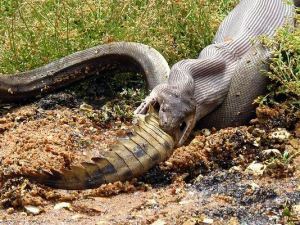 Hmmm is it? 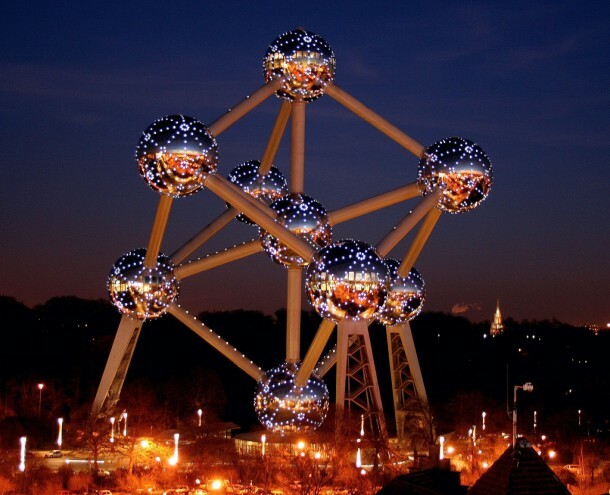 It is the centre of the European Union however the Atomium is one of the most popular attractions in Europe and was built for the 1958 World Exhibition so as you see this is not a new building which makes it even more impressive. 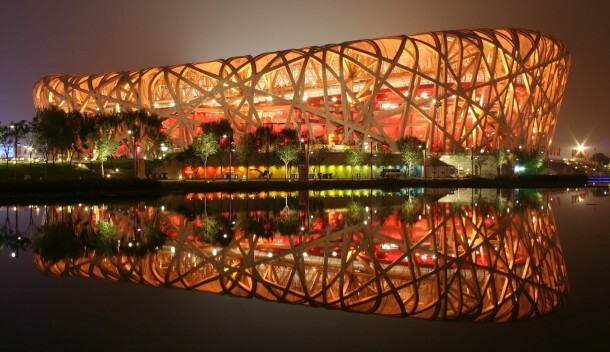 The shape is of an elementary iron crystal atom and is 102 metres high and is lit up at night by 2970 exterior lights. 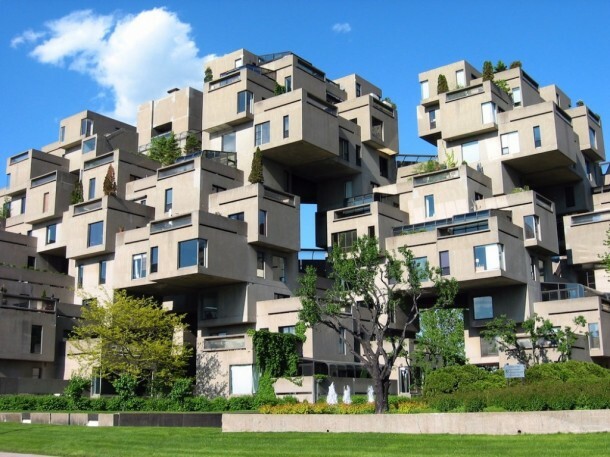 Another great building from Montreal Canada, it seems the Canadians love their far out building structures as much as the Chinese. This model community and housing complex is made up from 354 identical concrete structures. 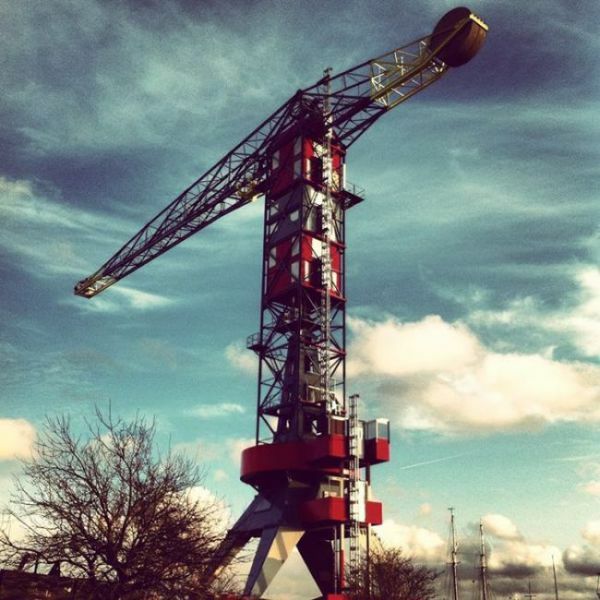 They reach up 12 stories high and the units create a total of 146 homes. The homes vary in size and layout. This alien looking pad is known as the ‘Bubble House’ and is one of several ‘Bubble’ houses in the area. 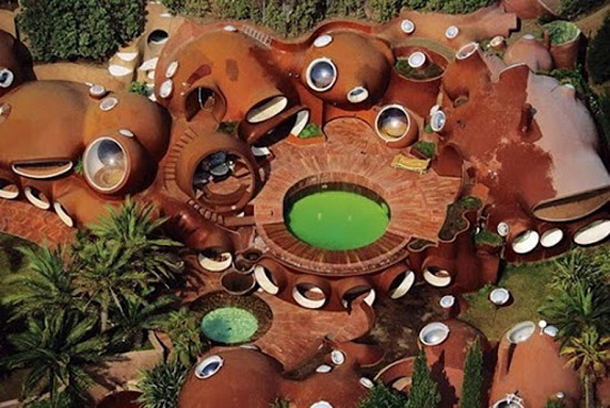 Designed by Antti Lovag but owned by world-famous designer, Pierre Cardin, the ‘Bubble House’ is well known for its incredible festival parties and grand events. This house is often hired out to the rich and famous for parties at a price only the real wealthy can afford. 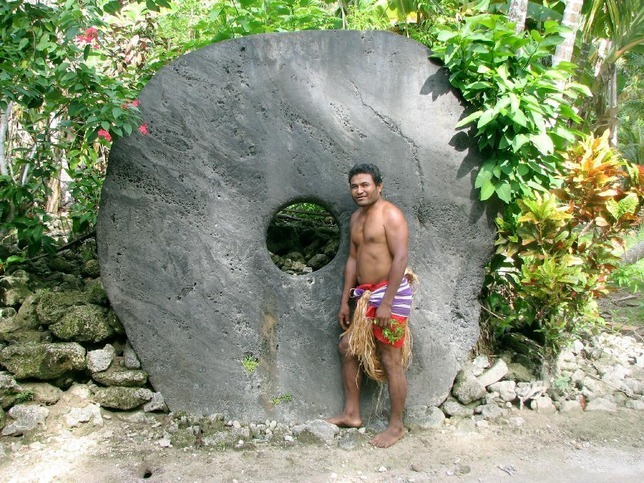 The last building on our list is this conch shell like structure which is based on an aquatic theme. The owners wanted to move away from the mundane and boring homes found in suburbia and wanted to be closer to nature and the environment.